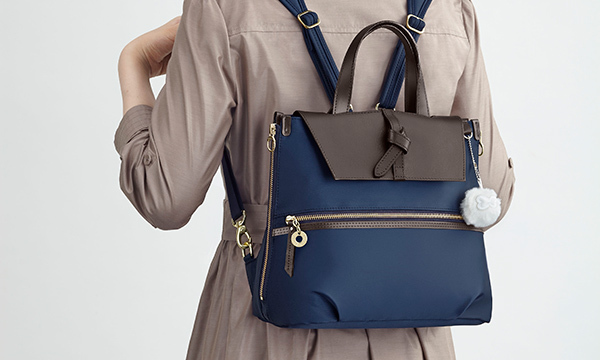 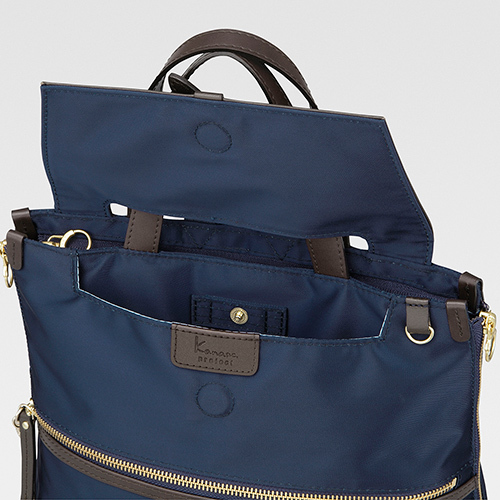 We’ve given our classy, elegant backpack a makeover! 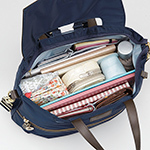 It keeps its form and is easier than ever to use. 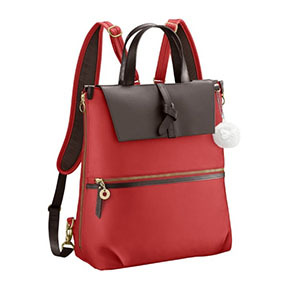 We focused on giving these backpacks a simple design with style and chic. 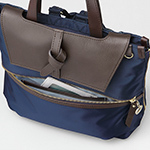 The main compartment stores more than meets the eye. 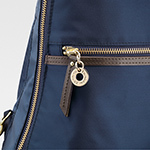 The handles go through a flap for added security. A snap button and magnet help the backpack to keep its neat form even when it’s packed with things and carried on your back. 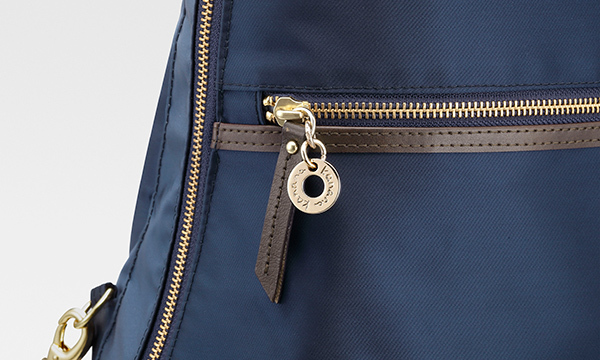 The front pocket has a special compartment for storing a commuter pass holder. 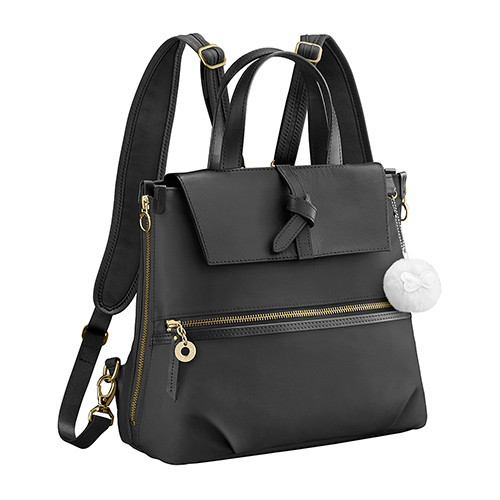 A pocket on the back is handy for keeping valuables. It also stores wide items. 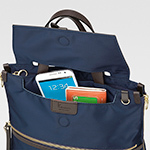 The open pocket right underneath the flap is handy for storing things you need quick access to, like a smartphone. 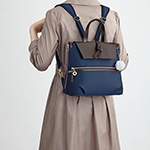 The backpack shoulder straps can be stored in the back. 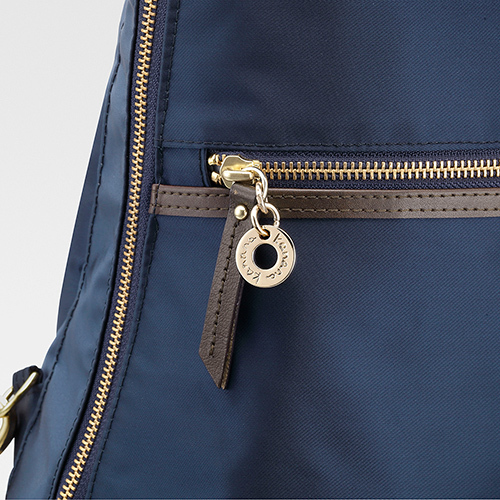 The front pocket’s leather zipper strap and gold charm give the backpack an elegant, refined look. 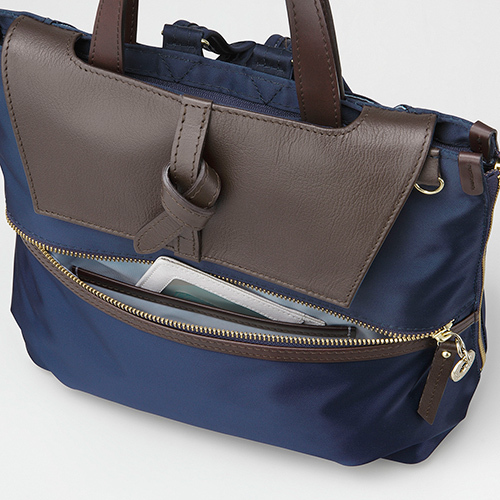 Open up the side zippers to use it as a tote bag. A4-size notebooks and folders can fit in a horizontal orientation in the 3-way model’s main compartment. Other large items can also fit in easily thanks to abundant storage space. 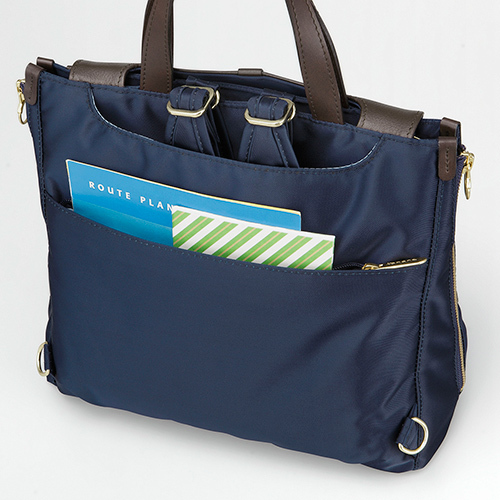 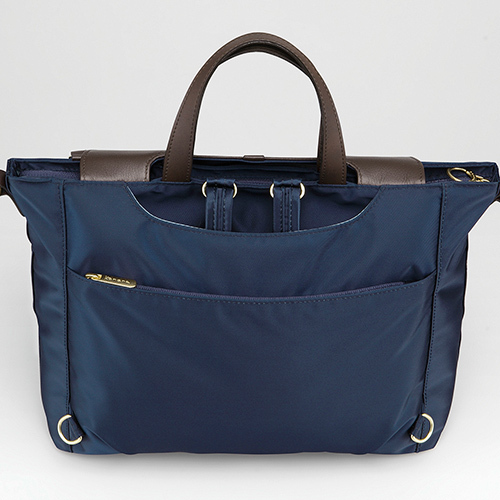 The 3-way model’s tote-briefcase design makes it look great for business. 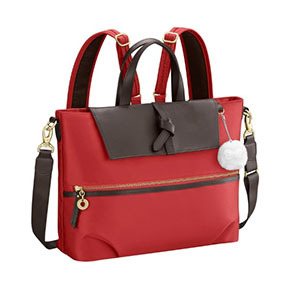 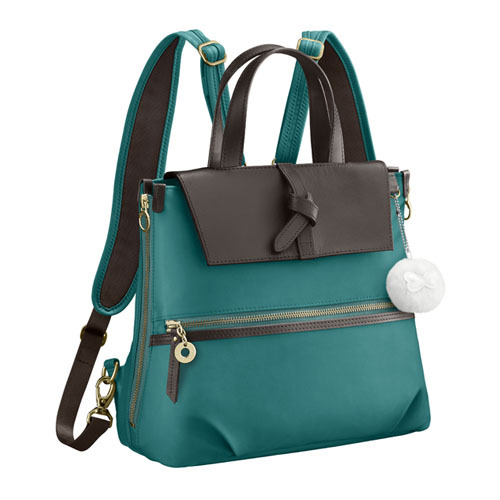 The shoulder-bag strap is detachable. The backpack shoulder straps can be stored in the back for the 3-way model, too. 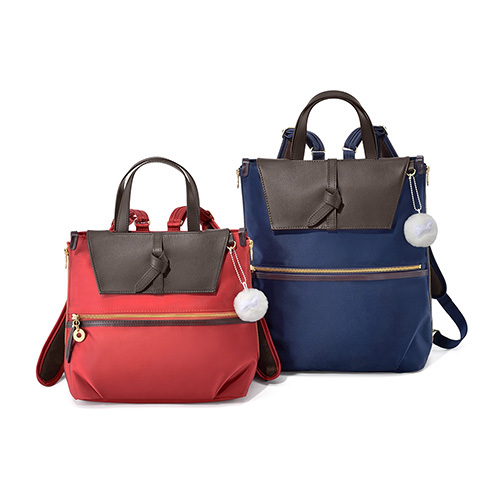 These backpacks have been designed with a focus on simplicity and classiness, so that they can be used not only for everyday outings, but also on special occasions like parties. 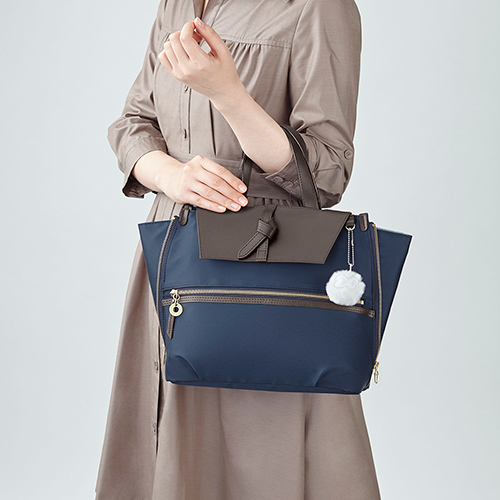 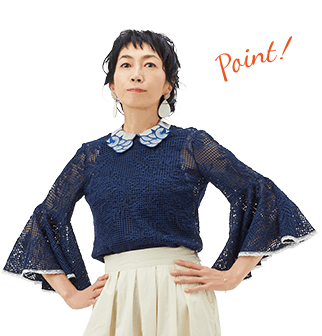 Their handbag-style design looks great with neat, refined attire. 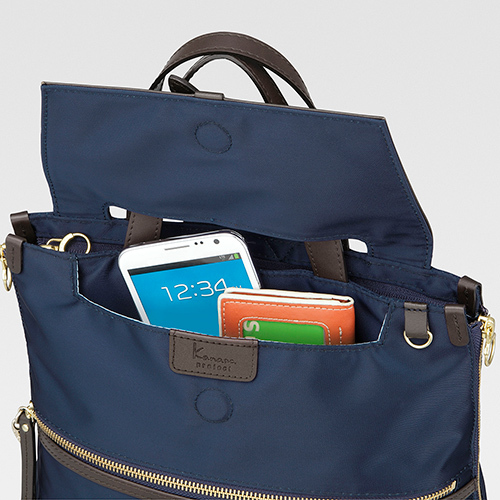 We gave these backpacks a full range of smart, convenient functions. For example, the handles go through the flap to enhance security, and the large front pocket gives easy access to small items and smartphones. We’ve also made the back pocket large to give the backpack more storage space than you’d imagine. 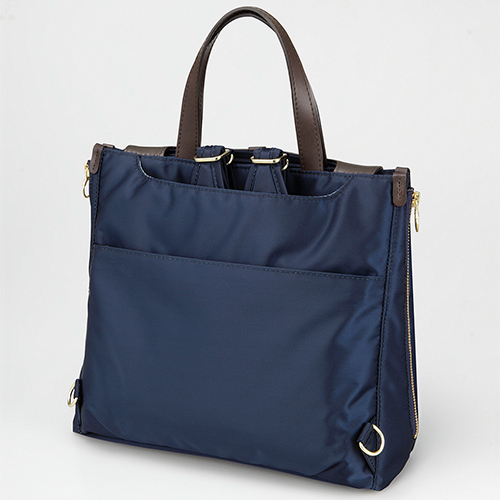 The main material has a stylish sheen, and the shiny gold metal parts add a touch of class. The knot adorning the flap is modeled after a kimono obijime cord and gives the backpack its unique look. 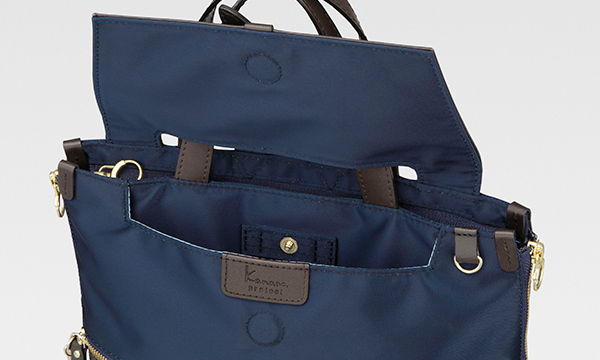 We’ve given full attention to the details so you can take your outings up a notch in style.